Blogging has become quite popular over the last few years. It seems that everyone out there today either has a blog or is thinking about starting a blog. If you do a search online, you will find blogs exist out there for almost every kind of topic and subject imaginable. There are blogs about personal finance, blogs about dieting and weight loss, blogs about nutrition, and yes blogs about blogging itself! Some people starts their blogs because they simply like to write. They have a passion about something and they would like to share this passion with others online. A blog is an excellent way to express yourself online. Think of a blog as your own personal platform. A website of yours where you can express your interests, points of views on topics (that you choose to write about), and your knowledge and information with the world. The better you become at blogging, the larger your audience of readers can grow. There are many opportunities when it comes to blogging online and bloggers out there are always writing up new blog posts. What once started out as a hobby or passion project, can easily turn into a successful online business, one that can make a good amount of money online. If you are reading this blog post, you might be wondering how do bloggers make money? 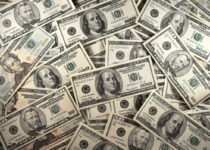 How can you make money with your own blog? In this blog post, we are going to discuss several ways that bloggers earn money with their blogs. Bloggers make money with their blog through advertising by placing ads on their blog. If you have a blog, one quick way to monetize it is to sign up for an Ad network and start placing ads on your site. You will earn a small amount each time someone click on one of your ads. Google Adsense is one popular ad network that people join. There are a number of ad networks online, depending on how much traffic your blog receives. Advertising is a good way to start monetizing your blog and start making money from it, however, you will not make a lot of money unless you have a very large audience. This is because each click on your ads may result in only making a few cents or a dollar or so. Depending on the ad network you join, you may get paid CPC (cost per click) or CPM (cost per thousand impressions). With CPC, you will only be paid each time someone actually clicks on your ad. With CPM, you will be paid each time your ad is displayed 1000 times, also called impressions. Advertising is an easy way to make money with your blog since you do not need to create or sell anything. Simply join an ad network and place the ad code on your site. If you are looking beyond advertising, affiliate marketing is your next option. 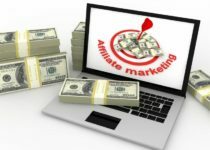 One way bloggers make money with their blog is through affiliate marketing. With affiliate marketing, you earn a commission for promoting other people’s or company’s products online. Most bloggers will promote products on their blog that relate to their niche. For example, if you have a blog about dieting and weight loss, this is your niche. You may decide to promote an eBook that discusses how to properly diet and lose weight. Bloggers use their blog as their platform. They educate their readers with useful and valuable content, and offer a solution to any issues they may be facing. They recommend affiliate products that can benefit their readers, and help solve a common problem that their audience may be facing. Affiliate products can be promoted by directly signing up for a company’s affiliate program. Not sure if a company has an affiliate program available? Another option, is to join an affiliate network. With an affiliate network, you will have access to multiple affiliate programs. 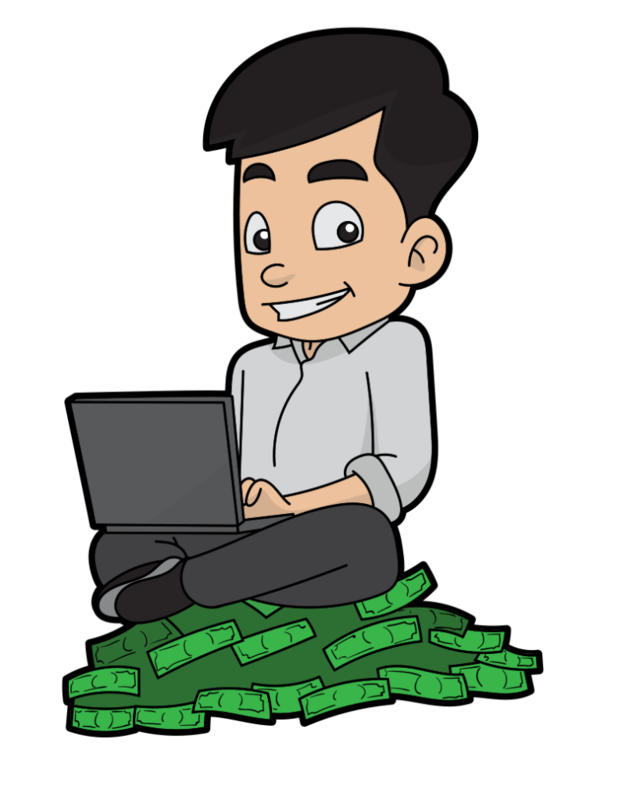 Bloggers make money by creating and selling their own eBooks and information products. The more you blog about a particular topic, the more knowledge you are going to obtain. At this point, why not take all of that knowledge and create a valuable eBook that your readers would enjoy? This process take a bit longer than the first two since you now have to actually create the product. But if you have been blogging all along, creating the eBook won’t be that difficult. A blogger will generally create an eBook, and insert a link recommending it within their blog posts. If you have been building up an email list and are doing email marketing, you can also recommend your eBook in the emails that you send out to your audience. The basic idea of this is to recommend your eBook where it can help your readers. Bloggers also make money by creating and selling their own online courses. Depending on what niche your blog is about, you can put together an online training course that will benefit your readers, and help them in more detail. You can create a “how to” video series that walks your readers (and now customers) through the process of solving a problem they may be facing. Your training course can be a monthly program as well, in which case you can turn this into a membership site. There are a lot of different options for training courses and online courses. Know your audience, what problems are they facing, what solutions do they need, and create a course around this need. Bloggers also make money by offering their own paid professional services. For example, a blog that discusses digital marketing and SEO can offer paid search engine optimization services and PPC services. Once you have demonstrated your authority on a particular subject, your readers will look to find out more about what you can provide. How Can You Earn Money With Your Blog? There you have it. Some of the most common and profitable ways that a blogger uses to make money from a blog. If you haven’t set up your blog yet, first decide on what it is that you would like to blog about. You can read over this blogging post here. If your blog is set up, start monetizing it with the methods we listed in this blog post. Very importantly, be sure to do your keyword research first. For Affiliate Marketing training, be sure to check out this affiliate marketing program review.